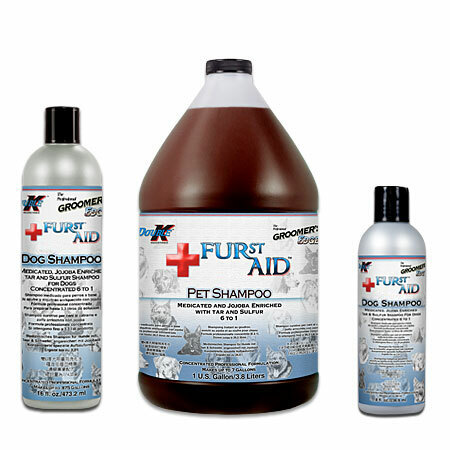 FURST AID™ professional, medicated shampoo soothes and helps heal irritated skin. This unique formula incorporates the long trusted blend of refined Coal Tar, Salicylic Acid, and Sulfur with the natural healing properties of Jojoba Oil and Aloe. For use on dogs only. Concentrated 6 to 1. The perfect medicated shampoo for dry, itchy, irritated skin.